In the last post I was mentioning about Roy’s loves- Fishes and buses. 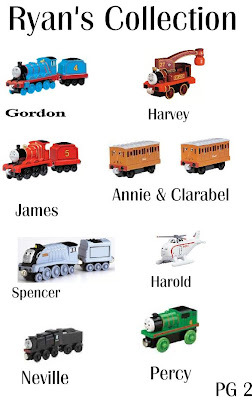 Here I will be talking about Ryan’s loves- Thomas and Friends Series. Ryan has always loved trains since I can recall. I can’t remember which was his 1st piece of Thomas the train toy that he receive but I do know that they populate almost every corner of his room. At last count he has 4-5 trains sets and about 20 over trains. 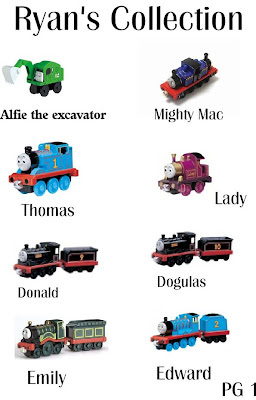 Besides the above listed he also has Thomas the train water bottle, cutlery, clothes, bedding’s, bags, pillow, stationary and calendar. 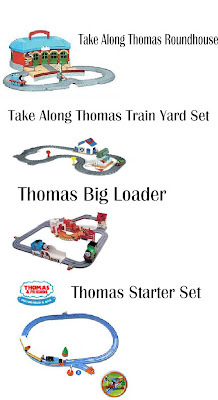 If you have boys are your boys Thomas fans also? My youngest son LOVED Thomas – he is now eight. He rarely plays with them, but doesn’t want to give them up yet, lol!